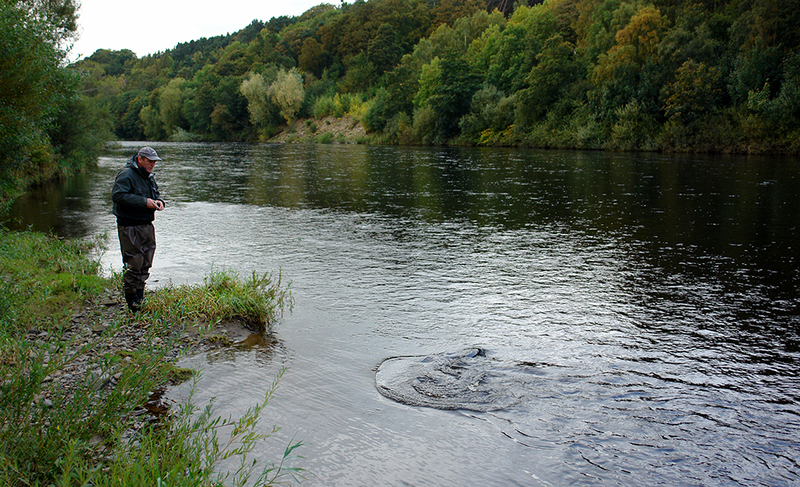 "Days by the side of the fast flowing Tyne"
Our truly beautiful estate is nestled in the Tyne valley and welcomes the discerning client with Tyne salmon, sea trout fishing, instruction, guiding our prices for a three rod three day let vary from £600 to £900 which is good value for a beat that produced 83 salmon and 30plus sea trout 2018 season in what was at best a challenging year with sun beating down and a freezing start brrr! We are a family run Tyne salmon fishing business and the 2019 season has already started with some cracking Tyne Springers near and above our beat ( Tyne springers are legendary big shouldered fish they require patience and persistence, our beat has had some whoppers over the years some up to 35lb, twenties are not unusual and mostly they are in the mid teens). We have only been lightly fished in the past 2 springs since the opening of the beat and ending the syndicate so who knows could you be lucky?? Farnley Estate Corbridge is a truly unique place where you just learn to relax,leave your cares behind and time passes easily. We are not a syndicate water nor day ticket rather open to visitors up and down the UK and from abroad. We offer 3 or 6 day lets and very occasionally short notice lets minimum two rods and a guide generally for courses but enquire we may have cancellations. On the lakes we are also helping people wishing to start fly fishing(we have magnificent lakes stocked and maintained with newly upgraded facilities for 2019). we work hard to keep the future of fly fishing alive and vibrant introducing youngsters, ladies and gentlemen of all ages to this engrossing sport. In March 2018 a family of three young brothers popped up from London and we had to spirit them away for lunch and tea such was their enthusiasm. I think their parents were amazed at their concentration and competition! By the way if you're a local and known by us we offer the fabulous lakes £300 a year 2019 catch and release a heck of a bargain !! 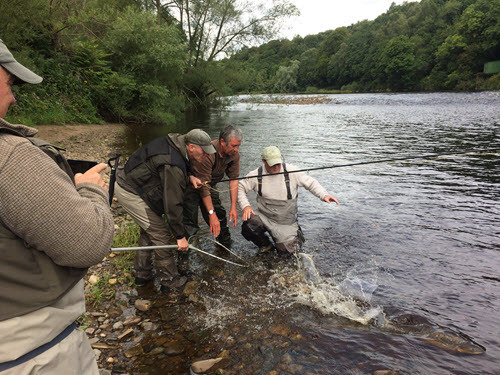 Our lucky guests enjoy superb access to the main Tyne river on genuine fly water. 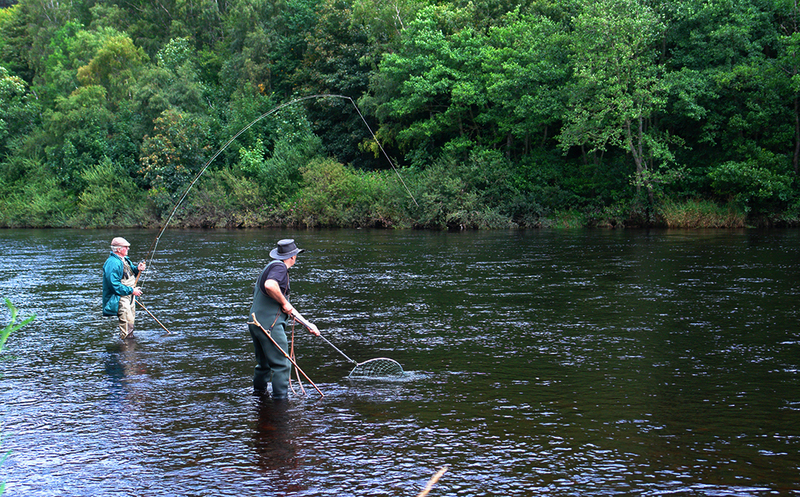 Our part of the Tyne is capable of delivering world class sport for salmon in most conditions throughout the season. We cant promise success but the steady runs we experience as a quality lower beat mean you will see fresh fish and should hook something! Last season was a fairly challenging year and most people seemed to hook something or land a fish , with plenty of fish in the beat. The freezing and wet spring this year somewhat dented early sport. 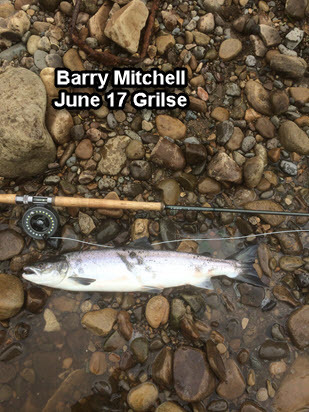 The management team wish 2019 is successful for you wherever you fish .Please book our guide and casting guru Barry Mitchell if your aiming to fish this coming year his telephone is as below. 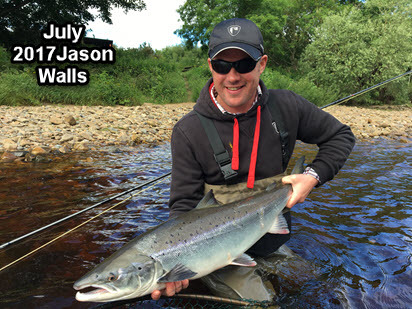 Please spend a little time to explore Farnley Estate here on our pages or just call us on 07733389474 (John) or 01661843674 (Ken) and (To get Barry our terrific guide and casting instructor) on 07979023301. We are close to road, rail and air links. From London we are a five hour drive , 3 hours on the train Kings Cross to Newcastle Central and an hour from Heathrow or other UK airports to Newcastle (Bristol, Gatwick , Southampton), from Europe: Paris , Amsterdam and Brussels , Barcelona . We are only then a 20min drive due west from Newcastle Upon Tyne , our proximity to the Roman Wall means we are in an area steeped in history and beauty with great places to stay with really friendly Northumbrian people great food and accomodation. Farnley Estate Corbridge is a stunning place to make new friends enjoy great faculties and peace! 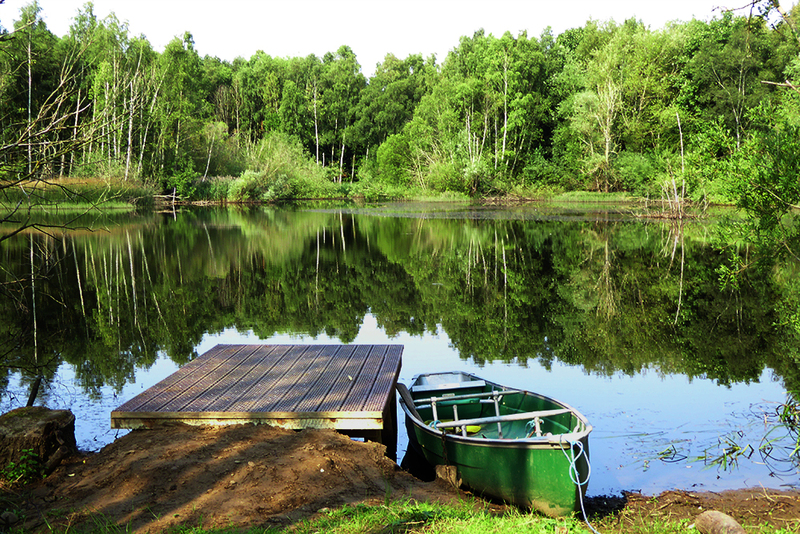 Enjoy our tranquil world tucked away in our own secret valley on the River Tyne. 2019 Current availability March to end June we have spaces Plus one slot in October 2018. Please ask about 2019 and we can take your details and preferences. Once you've made contact a human being will listen to your requirements and hopefully be able to help !